Aerial Ortho Photo Images, provided by Real Estate Mapping, Inc.
Aerial photography is an invaluable tool that is becoming more and more utilized in the real estate industry for site finding and visual analysis. 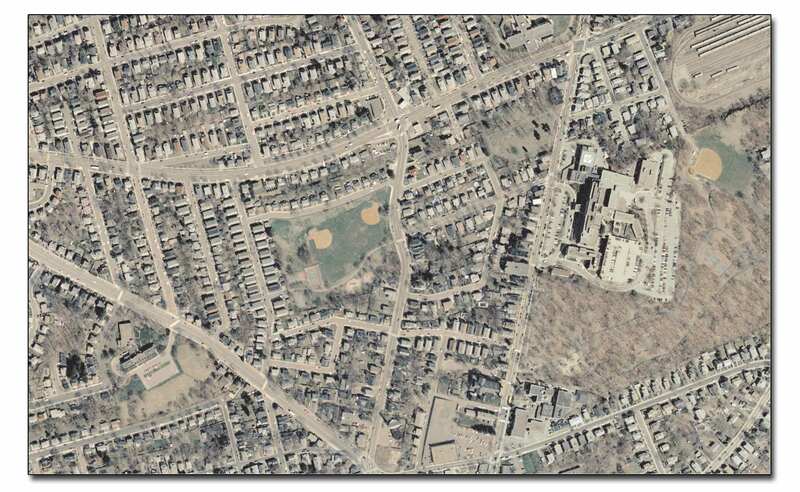 Aerial orthographic photography images can be viewed and printed from the Parcel Map Viewer. The Parcel Map Viewer delivers these images through the digital mapping interface and allows users to simply toggle on and off between this aerial image layer and the standard parcel map view. With the application tools, users can easily pan across image seams, change the zoom level, view property data and query new locations. 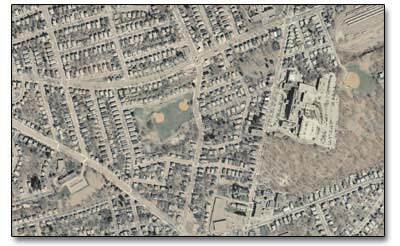 Aerial image maps can also be printed as property profile reports to impress and awe your customers and clients with modern age information technology.